Again I want to thank my personal guide in St. Tropez. Not many others have that exclusive luxury during the opening season in Saint Tropez. Our team and I have been to the most beautiful spots and were introduced to the wonderful people that live in St. Tropez and whom are making their villas your exclusive luxury holiday homes this season. On arrival in Nice we took the scenic route to St. Tropez, yes there were palmtrees and yes I needed to see them. How else would a literal seasoned Amsterdammer – we went from spring to a never ending fall – experience an instant Cote d’Azure moment? Taking this notion as a theme for the week we went straight to our first meeting to see Villa Peninsula where I fell in love with the view of La Mer… After having seen a few more villas, to check if they were still up to the iBrokers luxury standard, we went to our own house for the week: Villa Noah. Villa Noah is a beautiful Provence style villa that is hidden in the centre of St. Tropez. The Wisteria above the terrace, the pool and the shading of the pergola make you forget that you are actually in the heart of St. Tropez. Putting that together with a boulangerie on walking distance made the France experience for the day. 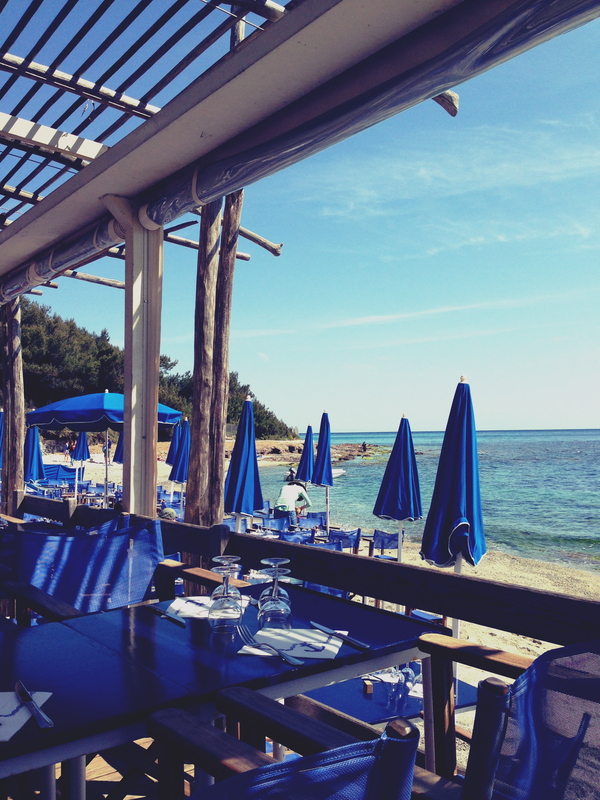 To celebrate our successful first day in St. Tropez and in honor our mission to see as many gems as possible to recommend to you, we went to Tropezina Beach. The owner – Patrick – made us feel like we were on a tropical island from the first step we set on his beach side dock terrace. During this great first lunch, where we met colorful Germans and a playful dog named Angel, we decided to leave this little beach island and go to Port du Saint Tropez to enjoy the sunset at the balcony of The Bar du Sube. 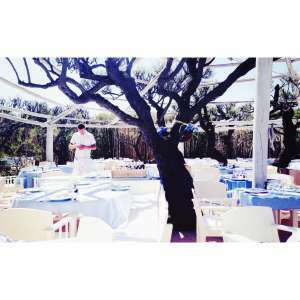 I highly recommend everybody to do this once in their live, to enjoy a perfect sunset at the terrace of The Bar du Sube, which is great for people watching ánd has a panoramic view of the Gulf of St. Tropez. My notion that this must have been the best view of St. Tropez was put to the test when we ended our long first day at the roof side terrace of the Kube. I personally loved the peace and quiet of the Kube just as much as I loved the vibrance of the fashionable people on the boardwalk and on the beautiful boats in Port du Saint Tropez. What I also recommend is getting your own breakfast at the baker, if you are as lucky as I was to be in the centre of Saint Tropez. Go get that french croissant and baguette! Walk through the village, see the shutters open and the people wake up. Hear the seagulls and realize that the Port is just around the corner and you are definitely not in your hometown anymore. This is your new home now. And if you are here on Thursday or Saturday morning you are extra lucky for there is a market where you can get everything you need and then some. After we finished our first coffee under the Wisteria in the starting sun we went on our daily villa route – with some very interesting properties such as a hotel direct at the sea in Grimmaud – which ended in Ramatuelle, more specific at Club55. Also a must see! It is a lovely place where I would recommend lounging on the white pillows after lunch. You are sheltered from the sea breeze – in the sun but enough in the shade, with high quality service. What more could you need between the hours of twelve and three when you need to go elsewhere from tanning? Granted you could go back to Port du Saint Tropez to enjoy the cool airco of the little boutiques or have your own private service at your own private pool. But then you would miss out on a perfect day that ends in the lounge area to enjoy another sunset with a glass of champaign. Because everyday in St. Tropez should be a little celebration. 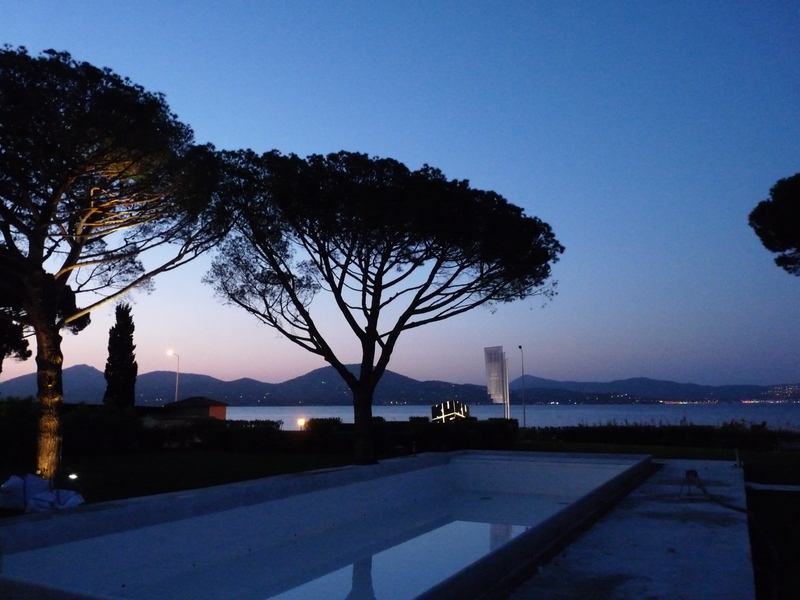 Another hidden place in St. Tropez must be Salama. In a narrow street you will find the big wooden door that leads to a different world. All of the sudden you are in a Moroccan riad. Even though it is hidden we do advice you to make a reservation. Because the couscous royale here is exquisite, and fellow diner quests in the restaurant were very interesting. As everybody knows each other in the little town of St. Tropez we had the pleasure of being invited to the pre opening party of the Easter weekend on the Veni Vidi Vici that friday night. Friday, during the day, we were introduced to the vineyard that produces Delice De La Presquel’île. For everybody with a dream of owning your own vineyard (who doesn’t?) with family houses, this could be your new home as it is for sale. Just contact our sales team and they will give you all the details about this property. This day we had another guide with other tips. We took a break from our villa route at La Plage Des Salins. A very romantic location! 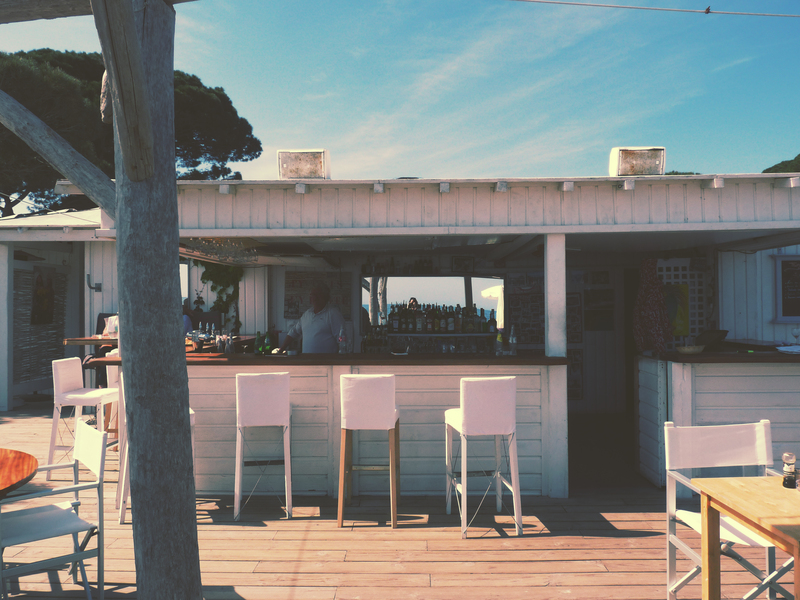 You are sitting on the beach, or you can choose for the dock above the water, and have a nice Italian diner. If you are here by day follow in our daytime footsteps, relax and have a caffe normale in the shade under one of the blue parasols. After a long day, which we know would not end until the next morning, we were happy to get back to Villa Noah. Our chef made her signature dish, and we started contemplating the evening to come. Because this night Les Caves du Roy had it’s grand easter opening! I am a woman and I am not going to lie, the “what to wear” question sprung to mind.. 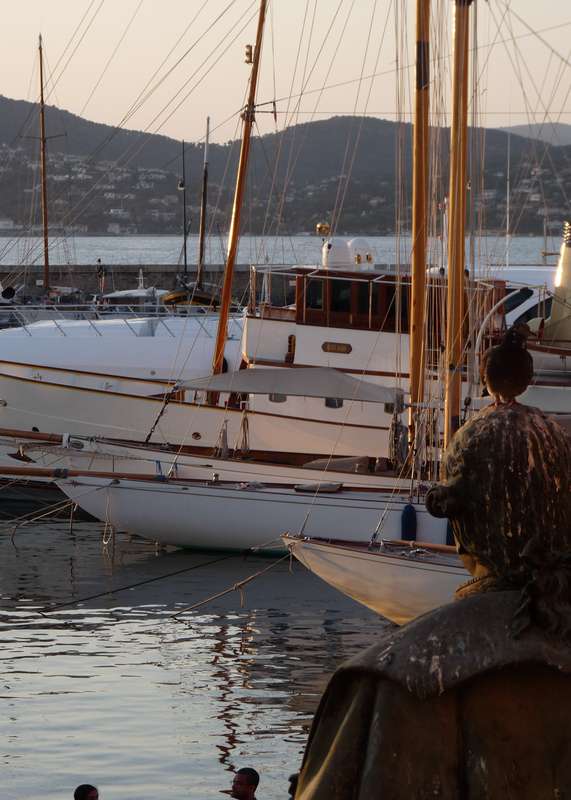 So off we went to meet our hosts on the Veni Vidi Vici at the Port du Saint Tropez. A beautiful yacht filled with even such beautiful people who give us a warm welcome as we celebrated the pre easter night with them that ended in the luxury lovers extravagance that is Les Caves du Roy. Here the party, and our own table, were already awaiting us. 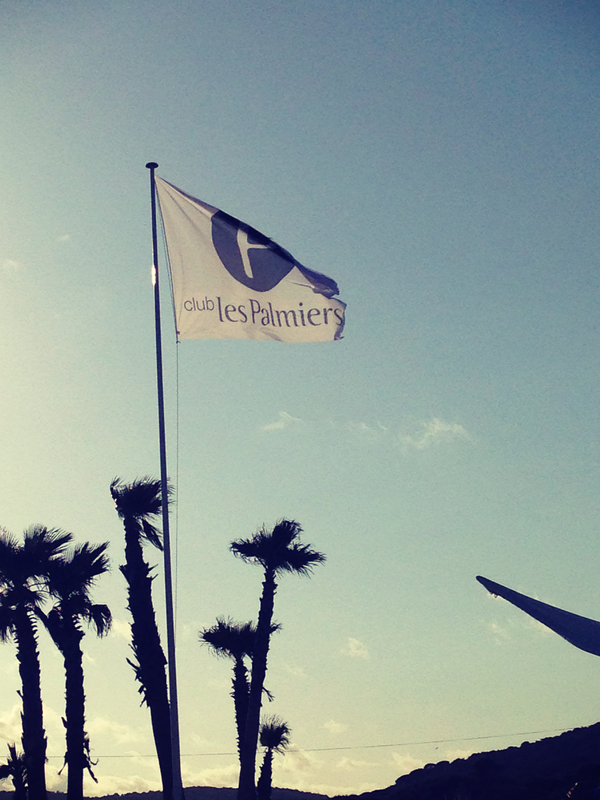 Saturday was spent in the company of my coworkers at our reserved lunch table at Les Palmiers, a hidden beach club where the shuttle taxies that drive you from the parking to the beach club already are a small adventure. The sun was shining and the DJ started our day with the well known song Welcome to Saint Tropez to accompany every special request from the rest of the lunch quests. Do not miss out on this experience whilst you are in St. Tropez. 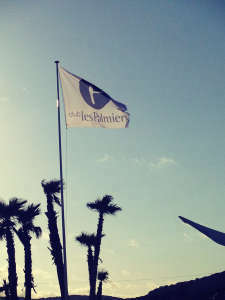 The service at Les Palmiers is perfect and it radiates the view the owners have for this all white decorated beach club. 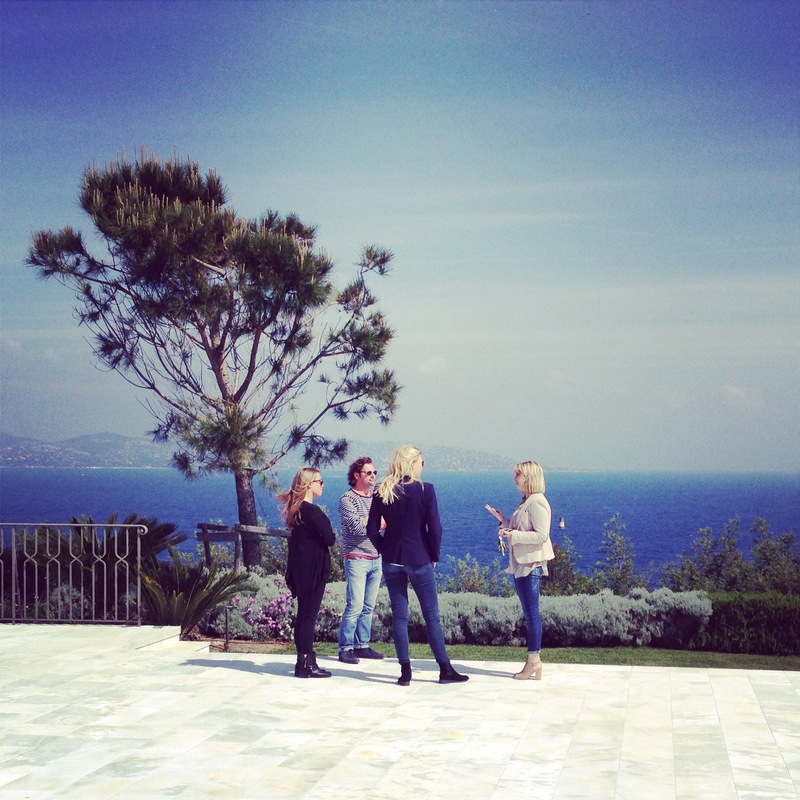 Before we had to leave our beloved St. Tropez on Easter Sunday, we had the pleasure of being invited for a lunch at Rogier and Frank’s place. Better known in the Netherlands from “The Diner Boys”. The perfect end to the perfect extravagant week with colorful people – we soon hope to meet again – and wonderful hosts. True love never grows old and we fell hard again for our beloved St. Tropez. If you wish to see more pictures please click here.